COASTSWEEP, the annual state-wide beach cleanup sponsored by CZM, kicks off in September. Now is the time to sign up to be a local cleanup coordinator for your favorite beach, marsh, dive site, and riverbank. Volunteers throughout Massachusetts turn out in large numbers each year for this event, which is part of the International Coastal Cleanup organized by the Ocean Conservancy in Washington, DC. Participants all over the world collect trash and other marine debris and record what they find. This information is then used to help reduce future marine debris problems. Cleanups will be scheduled throughout September and October. 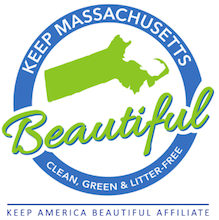 To get involved, see the COASTSWEEP website at https://www.mass.gov/service-details/coastsweep-cleanup-list.